With the finish line and award ceremony the last meters of this season summer stage we have ended the race at Madona track. Race and fight on the track either day was exciting, because the place on the podium changed and was not clear even to the last trip meters. Also, the weather yesterday's race were favorable, despite the fact that at one moment the sky gave us a couple of cooling rain drops. Madona kart track, yesterday to start a whole took 126 participants who competed in 5th Pro-Kart stage, as well as 4th Latvian Championship and 4th Latvian Rotax Challenge Cup stage. * Riders - Konstantin Ivanov and Krišs Jaunzemis excluded from drive. Soon, after 2 weeks – on September 10, we will meet a slightly different track - Jelgava streets, which will be one of the last stages of this season. Bearing in mind that this will be a non-standard competitions for more information on this phase will follow in the coming weeks. Again and sincerely welcome all riders, who today won prizes, as well as any other for participation and the spirit of competition! Seasonal finish swift steps approaching so we wish all the participants in the remaining stages to evict all the skill and energy of the track, so that the award ceremony would be gratifying for the season done! 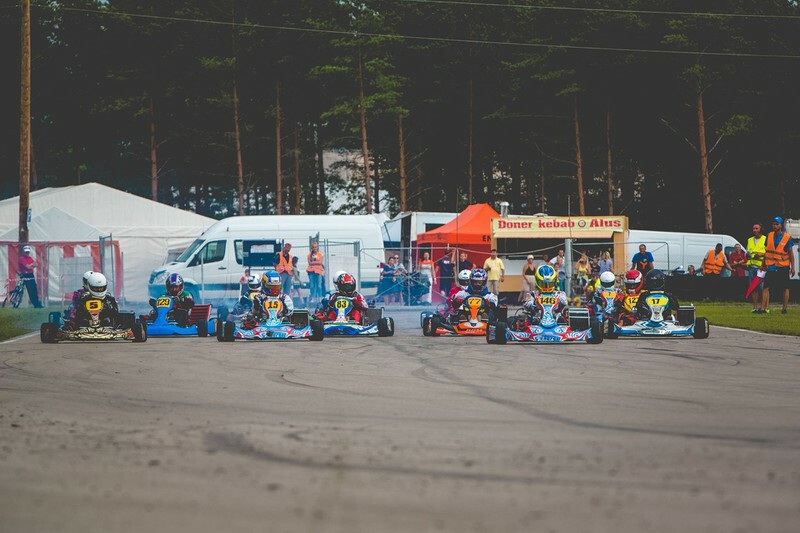 And we recall that, invariably, all race results, photos and information will be available on our website http://www.prokart.lv, in "Race". Wish all the success in future competitions! Varbūt var sīkāku trases aprakstu? Piemēram garākās taisnes garums? Shēma arī varētu būt tāda, kuru var saskatīt bez lupas. Tehniskā parka adrese arī nav zināma. Līdz gonkai 4 dienas, bet nav nekādas info.